Walmart has partnered with “hundreds” of its third-party marketplace sellers to offer free two-day shipping on “millions more” items on Walmart.com. The shipping offer applies to orders over $35. These items join a selection of items that Walmart sells directly to customers, which also have free two-day shipping for orders over $35. Walmart is also simplifying the returns process for items sold by these sellers. Walmart is beefing up its online offerings with a little help from its friends. The company announced on Tuesday that it has partnered with “hundreds” of its top sellers on Walmart.com’s third-party marketplace to offer free two-day shipping. That will result in “millions more” items on Walmart.com being eligible for the perk, which is available on eligible orders over $35, according to the company. The free tw0-day shipping eligibility for these items will start rolling out in November. As long as a product is marked eligible for free two-day shipping, it doesn’t matter who is selling it — customers still get the perk. For example, if a customer has two items in a cart that equal $35, as long as they’re both eligible for two-day shipping, it doesn’t matter whether the order is coming from a seller or directly from Walmart. Walmart has also improved the return policy for these select sellers. 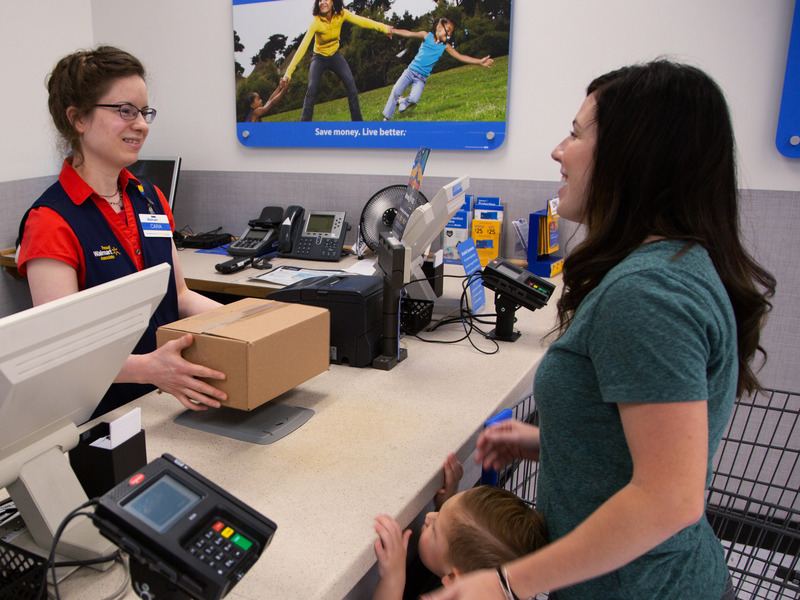 Starting soon, Walmart will simplify returns, allowing customers to print return slips from its website to attach to boxes and send back to sellers. Starting in mid-November, Walmart will also send the package on behalf of customers if they bring it to any of Walmart’s stores in the United States. All they have to do is bring it to the Services desk fully packaged for return. In both cases, return fees will vary depending on the items and the seller. Adding more functionality to Walmart’s third-party marketplace enables a more seamless shopping experience for customers to shop and not worry about where each item is being shipped from. It mirrors Amazon‘s Fulfillment by Amazon and Prime Onsite initatives, which ships sellers packages and certifies third-party warehouses to ship Prime packages, respectively. Walmart’s new program doesn’t take the shipping in-house, but it does offer something that Amazon’s online-only operation can’t match: a network of 4,700 stores that can serve as a dropoff point.